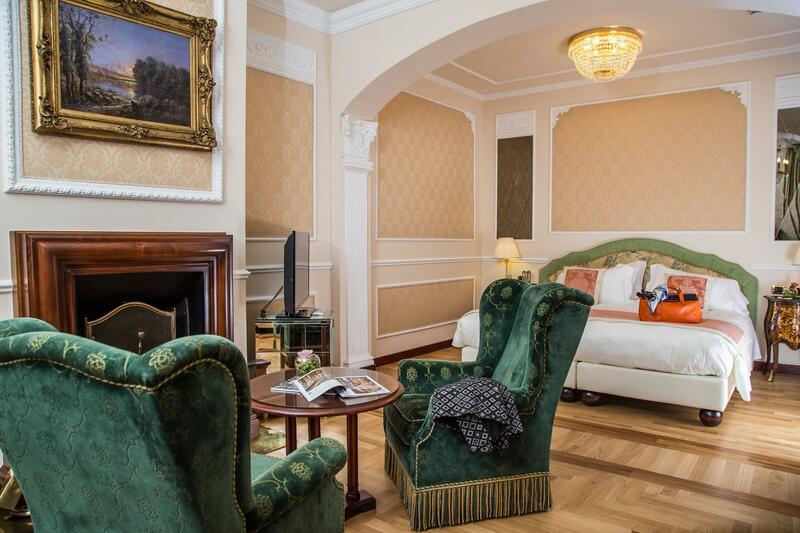 All rooms are spacious, luxuriously furnished with magnificent antiques and with special care for details, provided with modern comfort and free WI-FI connection. 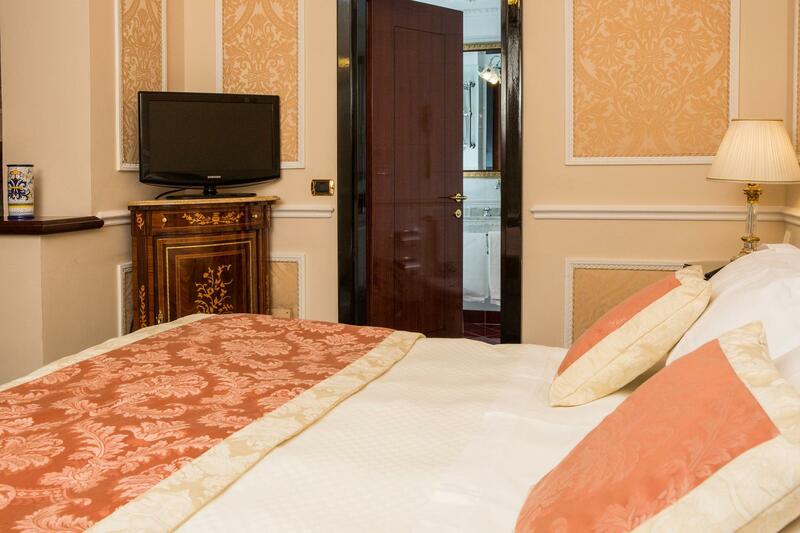 Superior rooms (about 16/20 sq. m.) overlook interior yards or alleyways of medieval Florence. Smart upholstery, precious fabrics and refined chandeliers lend a particular character to this atmosphere, full of care for details. 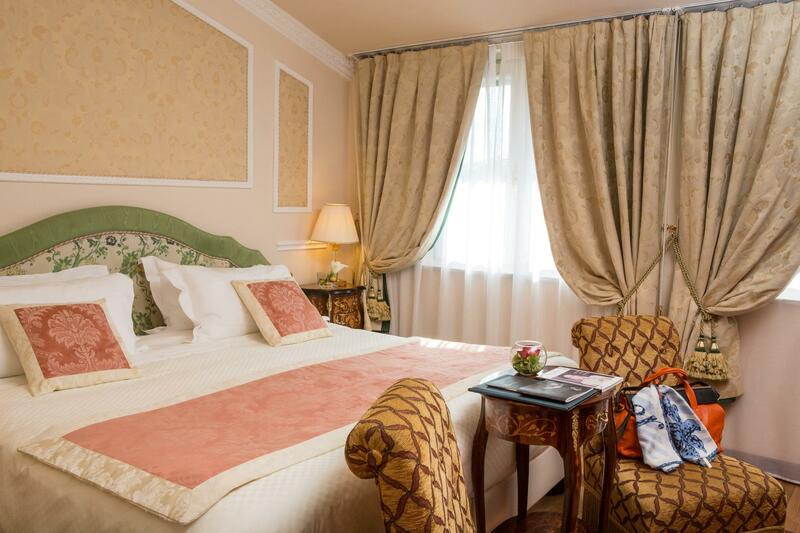 Deluxe rooms (about 22 sq. 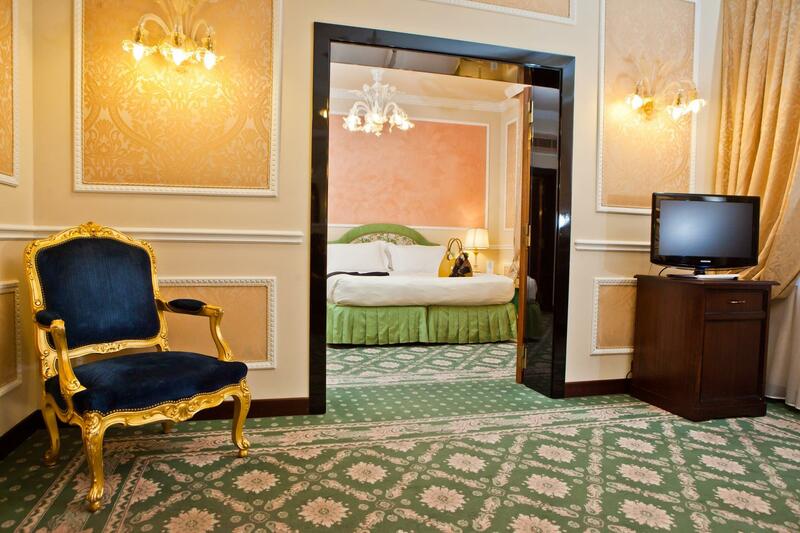 m. ) are spacious and furnished with wonderful antiques and handcrafted chandeliers from Murano. 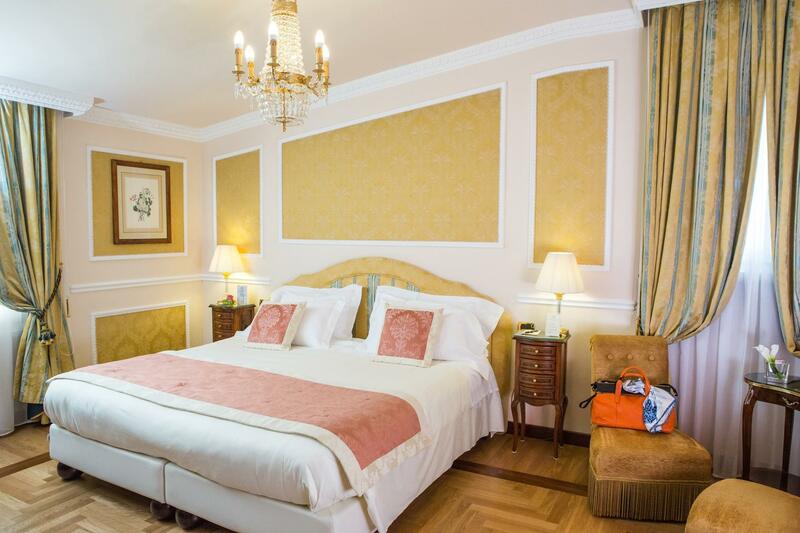 The rooms are totally different from each other, both in colours and in shape. 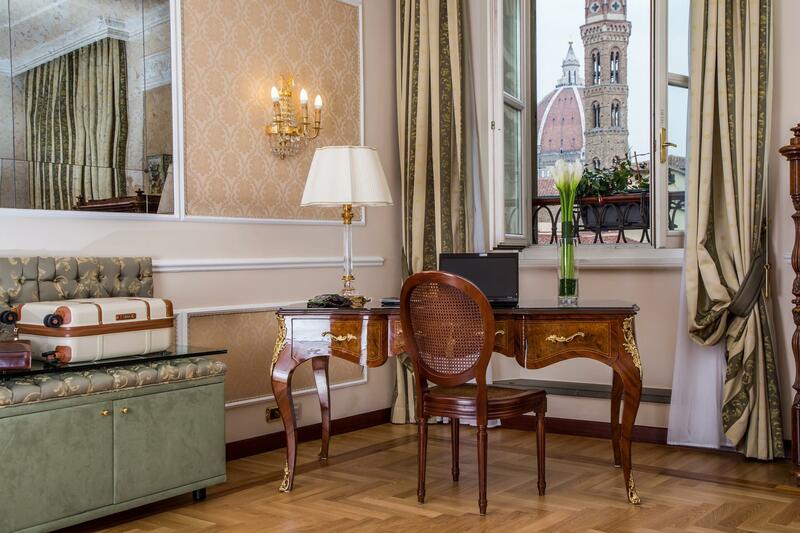 They overlook interior yards, alleyways of medieval Florence, Piazza San Firenze and boast breathtaking views of cathedral, Palazzo Bargello and the steeple of Badia Fiorentina. 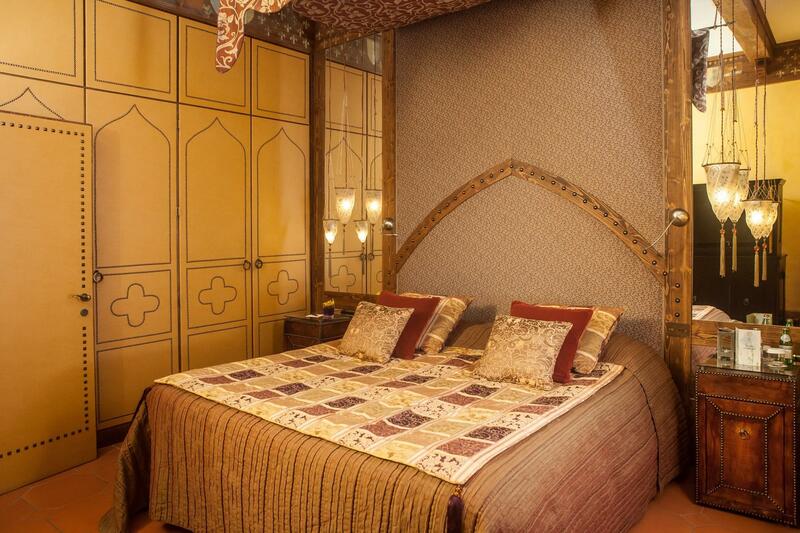 Ceiling with wooden beams, tester bed, period decorations, precious materials and splendid upholstery make this room absolutely unrepeatable. 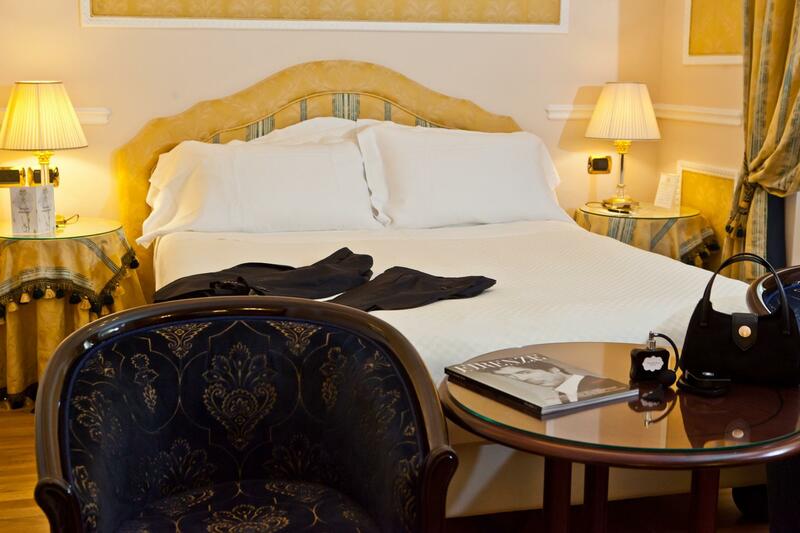 The room is practical as it respects all the necessities of the modern traveller: from the direct internet connection to the modern flat screen TV technology. 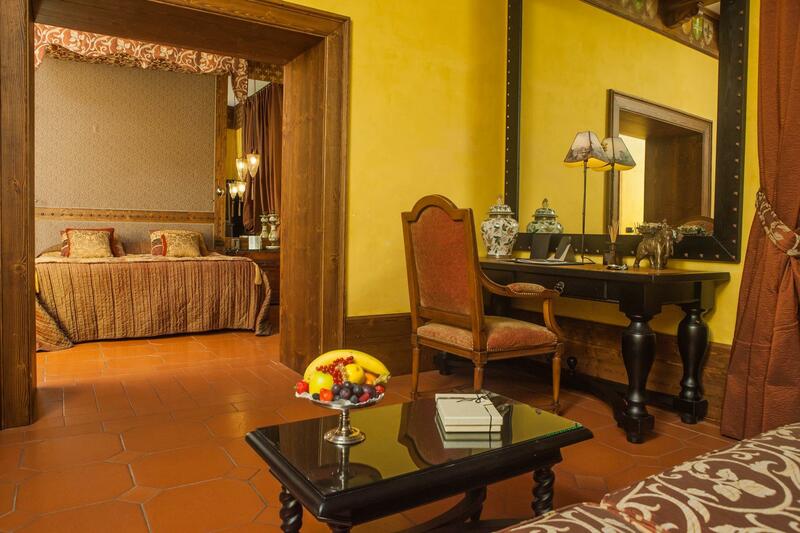 The rooms overlook interior yards or narrow alleyways of medieval Florence. The bathroom is large, linear, modern and equipped with all conveniences you may request in a luxury hotel such as a professional hairdryer. One of this rooms is also provided with a bathroom for disabled people. A luxury and extremely smart apartment (about 35/40 sq. m.), distinguished by furnishings in the Moresco style and intense dark deep red patterns that lend a magic and at the same time intimate atmosphere to the ambience. Period decorations, ceiling with wooden beams, tester bed, tapestries and valuable fabrics contribute to the matchless beauty of both bedroom and living room. The bathrooms are large, modern and plainly designed. 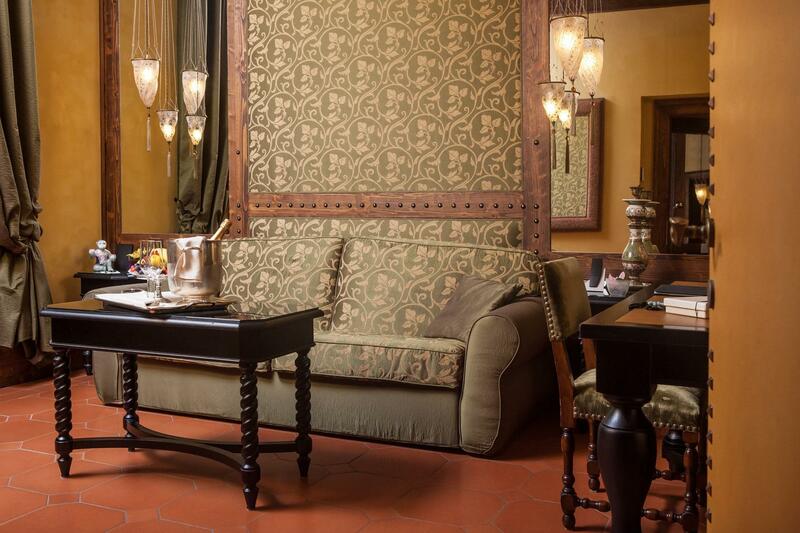 The Junior Suites go onto interior yards and narrow alleyways of medieval Florence. The Suite (about 40-42 sq. 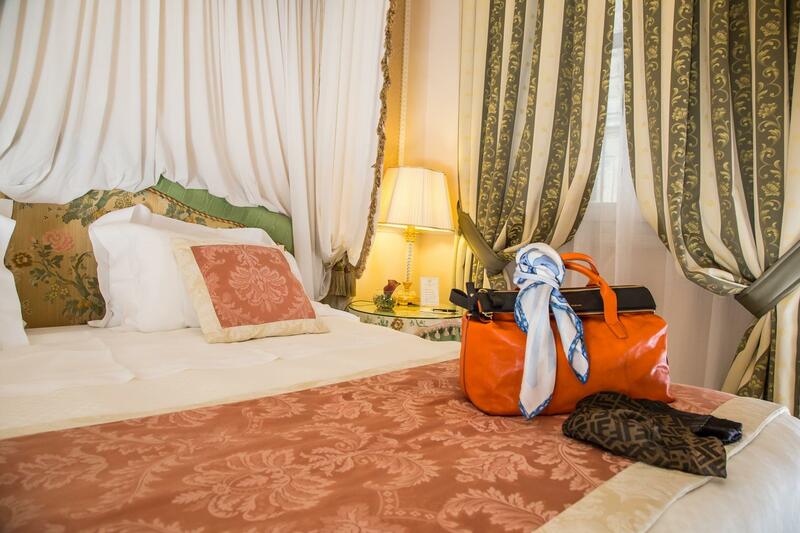 m.) is comfortable and smartly furnished with Murano chandeliers and precious works of art. 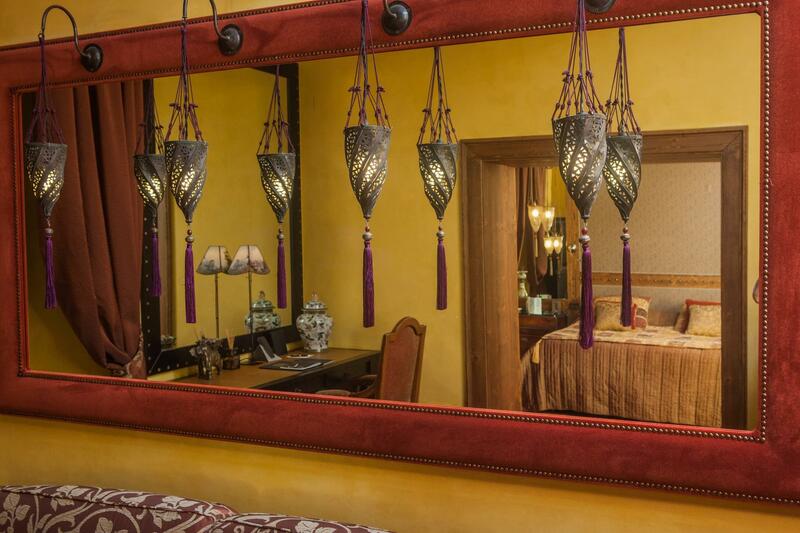 Spacious and airy, it's decorated with tapestries made of fine fabrics. It offers a separate living area and a spacious cupboard.